I want everyone in the world to read this book. It is the most beautiful book I’ve read in ages—ever? It took me a few pages to grasp what was going on, but once I did, the language, the characters, the historical data, and the setting all combined to keep me in my seat until I’d read every heart-wrenching page. According to Tibetan tradition, the bardo is the place where we go after our death until we are born into our next life. It is in the bardo that a chorus of characters in the Greek tradition observe Abraham Lincoln mourn the death of his son, Willie. 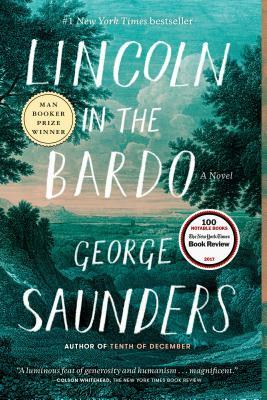 Every book club, every high school and college student of literature, everyone who appreciates exquisite writing and deep emotion will fall in love with Lincoln in the Bardo.